Lightweight texture and buildable formula that blends into skin for a natural, radiant finish. Naturally derived, buildable lip color with high-impact shine. Rich, buildable color for a variety of beautiful looks. Easy-to-blend mineral powder that warms your complexion for a healthy, natural-looking glow. Pigment- and particle-controlling mist that perfectly complements mineral-based makeup. Soft color that brings an effortless, natural-looking flush to cheeks. Multipurpose powder that acts as an eyebrow filler, eyeshadow, and eyeliner. Smooth, buildable, weightless lip color that's perfect for everyday use. Translucent powder that smooths and evens skin, absorbs oil, and adds a luminous finish. 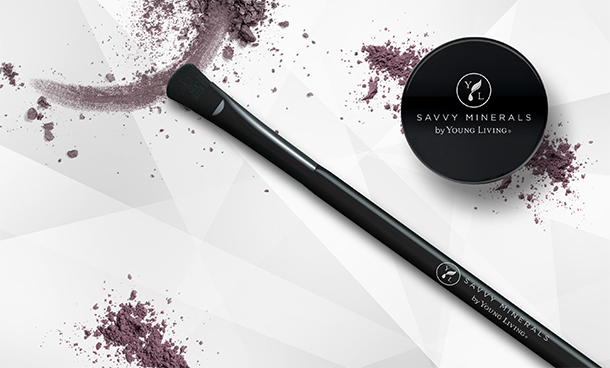 Soft, high-quality brushes specially created for Savvy Minerals mineral powders. 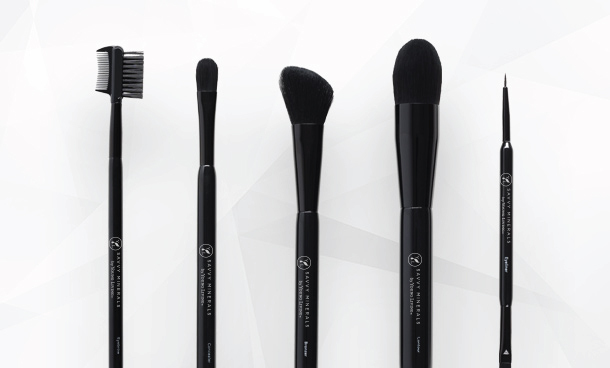 Compliment your essential brush set. 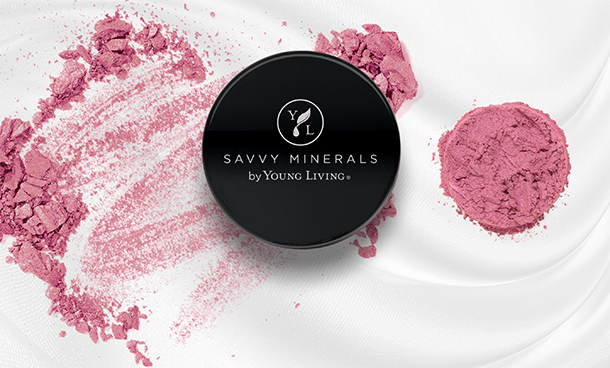 Say hello to a gorgeous new look and radiant skin with a little help from Savvy Minerals by Young Living™! Savvy Minerals Foundation provides a flawless finish that easily blends into your skin and builds from sheer to full coverage. With a variety of natural-looking shades organized by undertones and skin tones, your perfect match is easy to find! You can also get some hints from the jewelry and clothes you wear. Which metals and colors look great on you? Which make your skin glow? If you reach for silver jewelry and white, black, blue, green, and blue-red clothes, you probably have cool undertones. Tend to favor gold jewelry and ivory, cream, brown, warm reds, and yellows? You likely have warm undertones. Now that you know your undertone and shade, how do you ensure that you have your best color? Your perfect match should beautifully blend into your natural skin color. Keep in mind that if you don’t see your desired coverage after application, your color may be too light. Try choosing a color one shade darker to help you get the coverage you’re after. 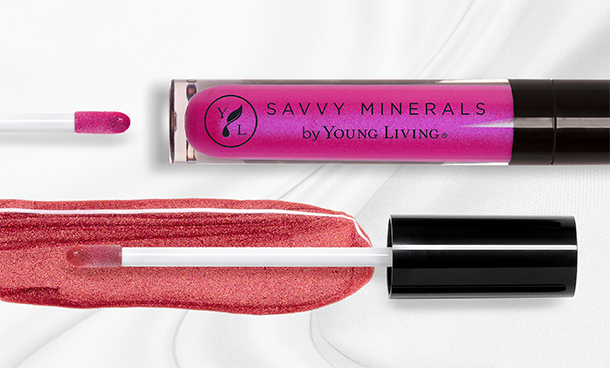 We believe you shouldn’t have to compromise your health for beauty, which is why we created the Savvy Minerals by Young Living™ makeup line. Savvy Minerals by Young Living™ products are developed with an unwavering standard of purity and quality, giving you a full variety of beauty products formulated with ingredients you can feel fabulous about. We hold all Savvy Minerals makeup products to superior standards, so you can feel good about what you are putting on your skin—always. This means that you’ll never find these ingredients in your Savvy Minerals makeup bag: talc, bismuth, parabens, phthalates, petrochemicals, nanoparticles, synthetic fragrance, synthetic colorants, or cheap synthetic fillers that are usually found in other leading brands. 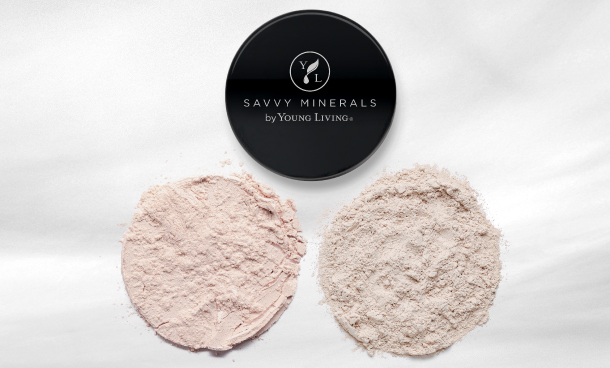 Want to know what’s in your Savvy Minerals product? 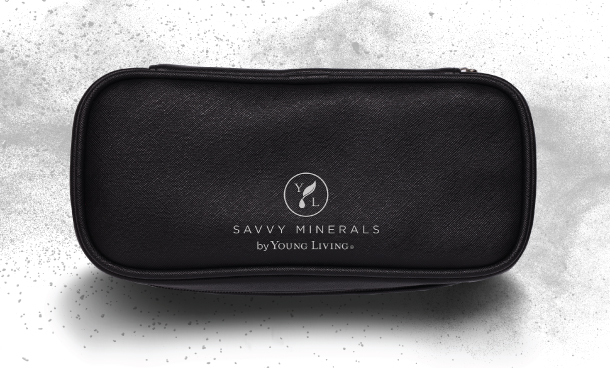 Visit the individual product pages for each Savvy Minerals by Young Living product for a full list of ingredients. Q. 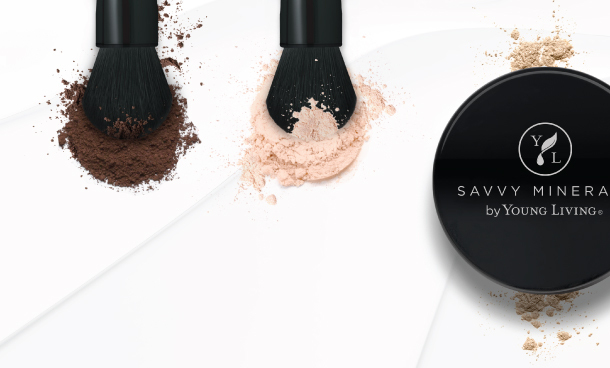 Has the Savvy Minerals makeup line been tested for heavy metals? If so, what testing methods are used? A. 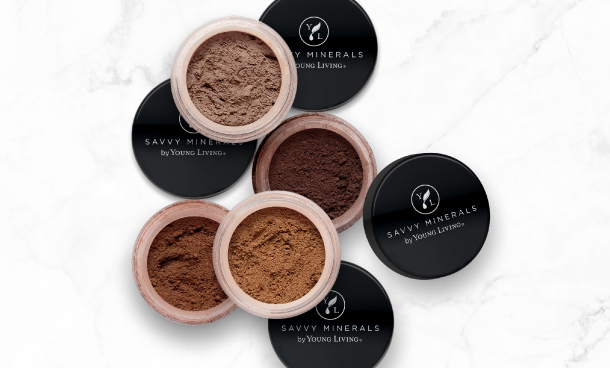 The Savvy Minerals makeup line has been tested for heavy metals and complies with all U.S. federal safety regulations for heavy metal content by meeting or exceeding the specifications set by the FDA. We use an ICP method and either an ICP-MS or an ICP-OES instrument to test for metals. Q. From where is the mica in some Savvy Minerals products sourced, and is it obtained using child labor? A. 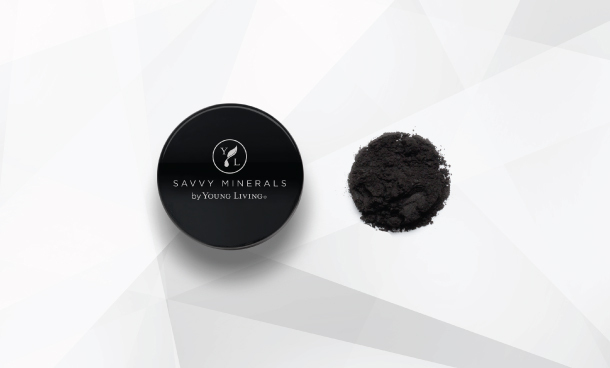 We have been assured by our vendor that the mica used in our Savvy Minerals makeup line is mined in the United States, and there is no child labor involved in the sourcing of this ingredient. Q. Can the amount of mica used in some Savvy Minerals products contribute to respiratory problems in people regularly exposed to it? A. The amount of mica in Savvy Minerals products is well within the level considered safe for use. We use mica to color our products instead of harsh dyes and chemicals. Q. Are any Savvy Minerals products formulated with arrowroot? Q. Are any Savvy Minerals products formulated with aspen bark? A. Yes, some Savvy Minerals products are formulated with aspen bark. Q. Are any Savvy Minerals products tested on animals? A. 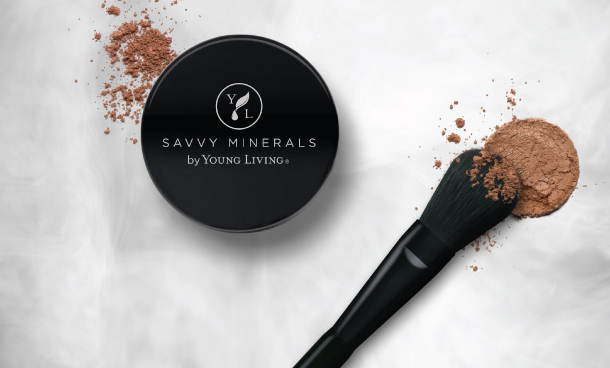 All Young Living products are cruelty free and have never been tested on animals, including the Savvy Minerals makeup line. For a list of ingredients in each product, please visit their specific product pages.